Enjoying an incredible winter break with friends can be a lot simpler than you think. The first important step to take is to find the perfect destination where you will all feel comfortable and ready to have fun. In this respect, while Paris is fantastic in winter, you can’t do much better than head to pretty La Tania in the French Alps. This highly popular ski resort is a brilliant spot for enjoying the kind of group trip that you none of you will forget in a hurry. So, what are the key points to ensure that you get a tremendous break in this very special place? The following are some of the best ways to help this trip go with a bang. Planning a brilliant trip away like this should be a lot of fun to do. After all, this is when you get to look forward and anticipate just how exciting it is all going to be to get away for some fun. Yet, this is also a stage that is riddled with possible dangers to avoid. For example, finding a date that keeps everyone happy might be a thorny issue, especially if you all have different jobs and lifestyles these days to take into account. This means that you will want to spend some time ensuring that you get the perfect dates that suit everyone in the group. It is also worth bearing in mind that not everyone will have the same budget as well, so you will want to be sure that you find deals that suit all of you. The planning stage is definitely helped by the fact that it is very easy to get to La Tania, meaning that a short break here isn’t going to take up too much of your time. For instance, if you are making the trip across from the UK then it just is an easy flight across and a short airport transfer to get you there. Most of us opt to stay in a nice hotel when we travel abroad, sometime without even taking a moment to consider other possibilities. There are certainly some terrific hotels in La Tania where you can enjoy a luxurious stay with all home comforts included. However, a group break like this is also a fine opportunity to spend the whole time together in a quality ski chalet if you prefer to do this. This is the type of accommodation in which you can all have a wonderful time eating, drinking and chatting with your friends in comfort. Another very good option worth looking at in La Tania is that of staying in an apartment instead. This is a fantastic way of enjoying a truly independent break that you can enjoy in the way that best suits all of you. By sorting out your booking on a quality site such as AlpineElements then you can take your pick from a range of quality places to stay with your friends. By having a comfortable and convenient base to stay in you can make sure that you make the most of your time here. The first piece of good news here is that La Tania is part of the world famous 3 Valleys ski area. This means that everyone in your group will be able to find the perfect spot to go skiing, regardless of their current levels of experience and ability. 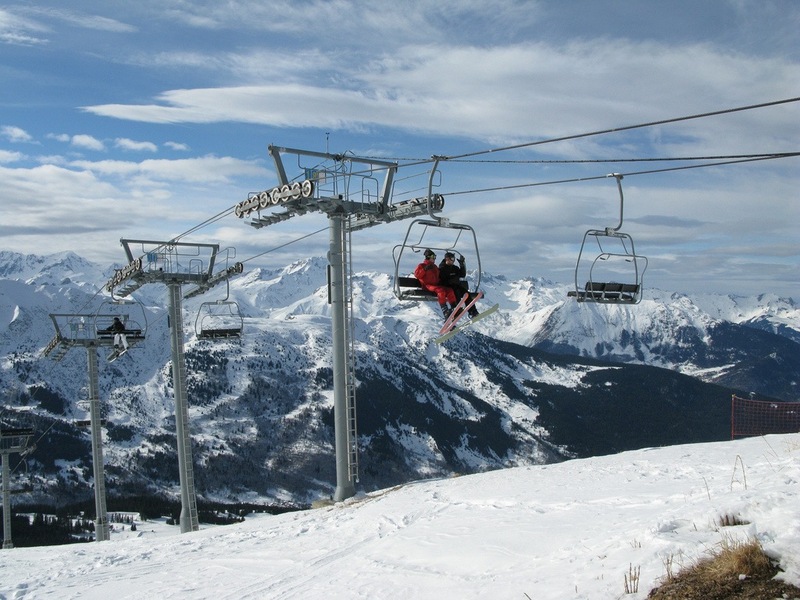 Overall, this is rated as one of the most laid back and relaxing French Alps resort to go skiing in. This means that it is especially good for those groups that have got quite a few newcomers to the sport in them that want to take it easy and start off without any sort of pressure on their shoulders. Another big advantage to coming here is that it is one of the best Alps resorts for being guaranteed of quality skiing conditions. The altitude and the general geography here combine to provide a resort that is almost always filled with beautiful powdery snow during the long skiing season. The town of La Tania is a picturesque and very welcoming place where you can get out to stroll together in a very peaceful setting. If you all want to get away from stressful situations and relax in great company then this is the perfect spot in which to do it. The center of the town is traffic free, so walking around it is a pleasure rather than a chore. In fact, you can even enjoy the gloriously novel experience of skiing from your hotel to the shops or to a bar while you are staying here. There are also some tremendous facilities here if you want to try out something other than skiing some days. For instance, you could try going out for some tenpin bowling action, go ice karting or try out indoor climbing together. The town usually has a family oriented feel to it but there is no reason to think that a fun-loving group of friends wouldn’t feel right at home here. Of course, no group trip to the French Alps would be complete without a chance to sample the après ski scene while you are here. In this respect, La Tania is a fairly laid back resort but still offers your group the opportunity to get out for some fun. Among the most exciting bars here are the likes of the Pub Ski Lodge, the Taiga Bar and the Chrome Bar. These are brilliant spots for settling down with your buddies to discuss the day’s skiing and make plans for tomorrow. There are also other places in town where you can sample the unique pleasure of après ski in La Tania. For instance, you could head to a good hotel, such as the Hotel Montana that is centrally located, for a few drinks and a lot of laughs. How often do you get to eat out with your friends? Many of us don’t get to do this as often as we would like, but would love to get to do it more often it we could. Well, if you spend a few glorious days together here high in the French Alps then eating great food together is going to be one of the genuine highlights of the trip. There are plenty of amazing restaurants and cafes here when you can all sit down for a fabulous meal or some snacks. Among the top eateries to look out for here are the likes of Restaurant La Ferme de La Tania and Bouc Blanc. These are places where you can all eat some wonderful food while having a great time enjoying each other’s company at the same time. 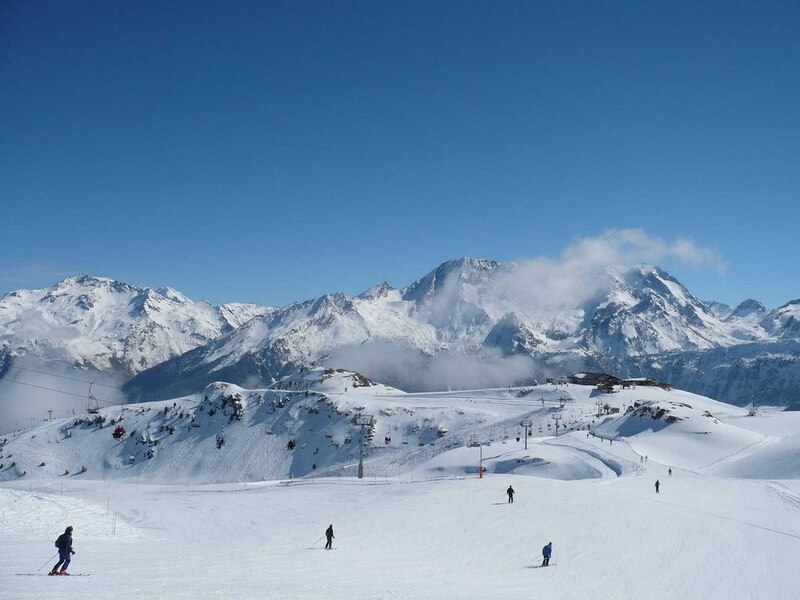 If you want to make this is a hugely memorable trip with some special people in your life then there are plenty of reasons for choosing to head to La Tania. This is an excellent resort where you can all let your hair down and have a fantastic time doing whatever makes you happy.